To prevent corrosion and provide protection and insulation, the welds that join individual pipeline sections are covered with a field joint coating before entering the water. Welds and the surrounding field joint are grit blasted to remove surface corrosion and other deficiencies, creating a smooth adhesive surface for an anti-corrosion coating layer. Allseas’ most advanced system is its fusion bonded epoxy system, a highly accurate and constant powder coating process. 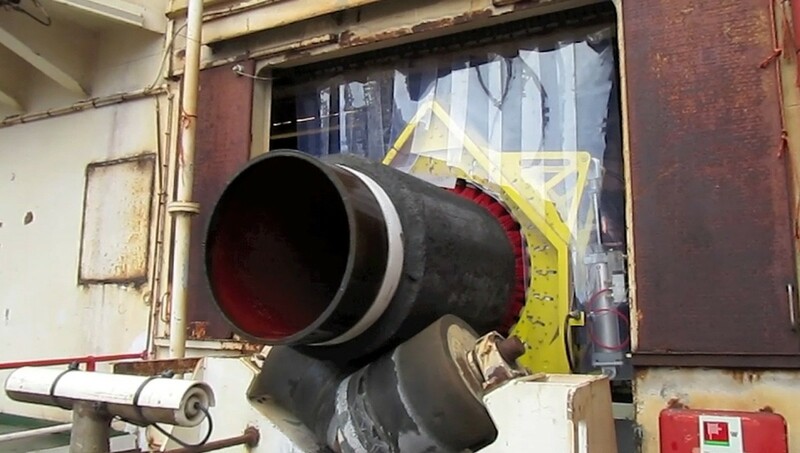 Another common type of anti-corrosion coating is a heat shrink sleeve, a polypropylene or polyethylene sheet lined with an adhesive, which is wrapped around the pipe and shrunk in place. In addition to anti-corrosion coatings, a protective coating is often applied to pipes with concrete weight coating. One method is to wrap a temporary sheet around the pipe, overlapping the concrete on each side in order to create a mould, and inject the annulus with polyurethane foam. The foam may be mixed with gravel to make it more impact resistant. A thermal insulation coating can also be applied. In this method, hot polypropylene is injected at very high pressure into a mould positioned around the pipe field joint. After partial cooling, the mould can be removed and a coating remains. The range of automated equipment for application of field joint coating includes pipe surface cleaning equipment (automated power wire brush, grit blast), automated induction heating machines, automated powder spray equipment (dual and single powder), and pouring machines. The power wire brushing machine has been developed to clean field joints in preparation for coating. 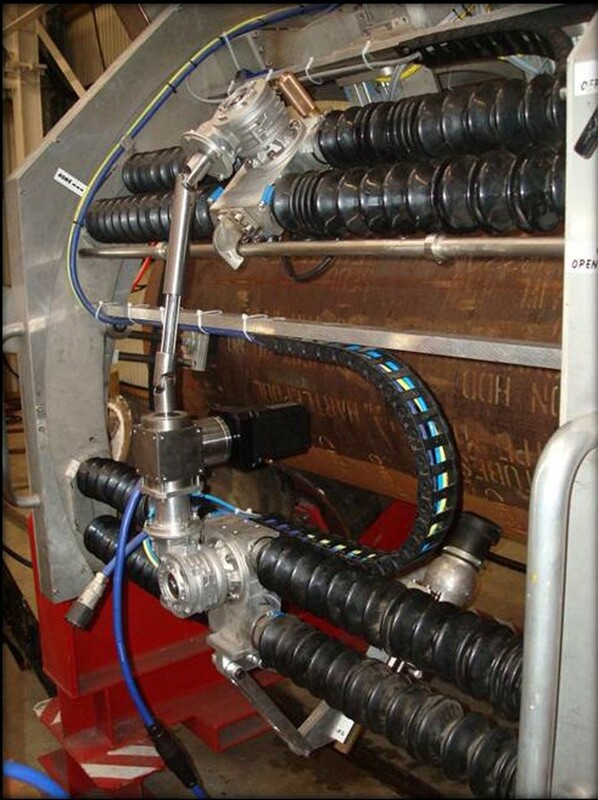 The machine uses multiple automatic rotating brush discs to clean the pipe surface over a length up to 580 mm along the pipe and around its circumference. The parameters of the cycle are programmed in an automatic control system, which can be altered to meet specific project needs. The grit blasting machines use a modern standard of pipe surface preparation method according to worldwide sand blasting standards. 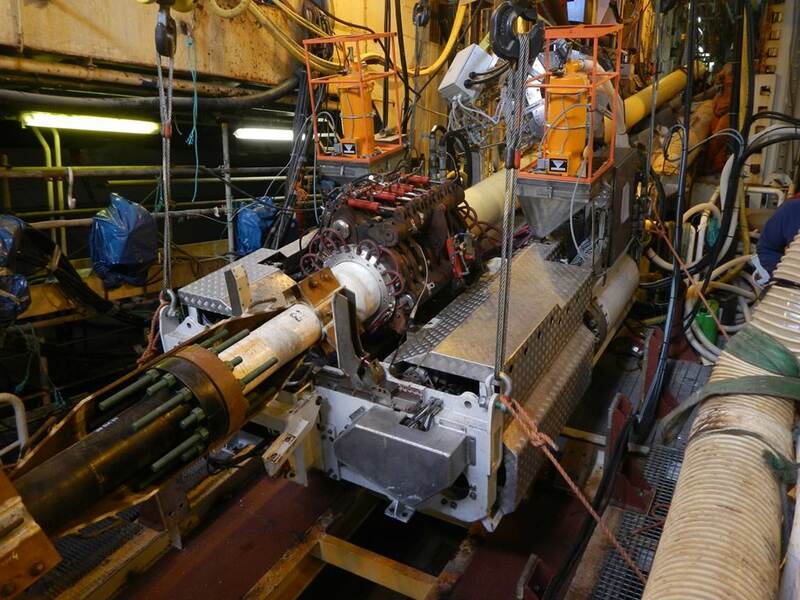 Several machines have been developed capable of efficiently cleaning pipes ranging from 8 to 56 inches in diameter. 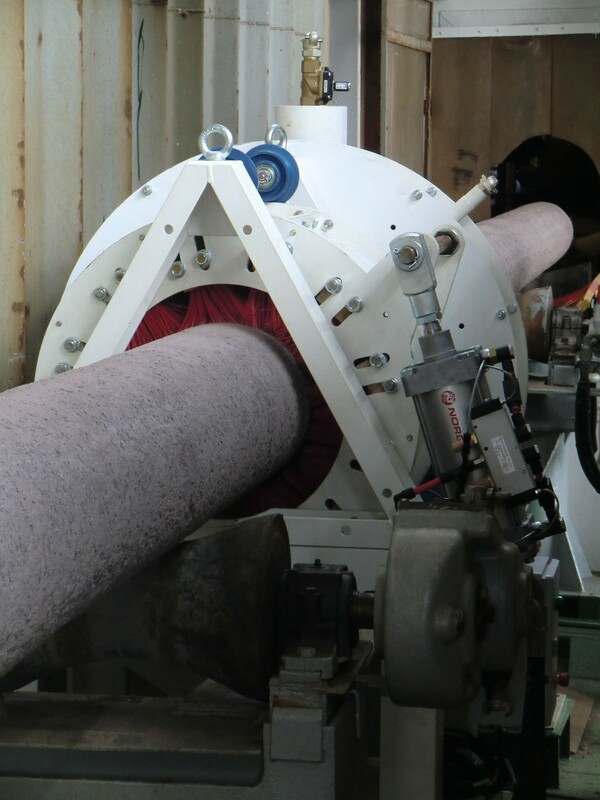 In operation, the machine steers multiple cleaning heads – connected to standard grit cleaning and recirculation units – around the pipe circumference. The cleaning cycle is fully encapsulated resulting in a clean and safe process. The frame is equipped with automatic centring on the pipe which can accommodate pipes with a wide range of concrete weight coating or thermal insulation coating thickness. The frame is easily configurable to comply with different field joint cut back sizes and operates in automatic mode. 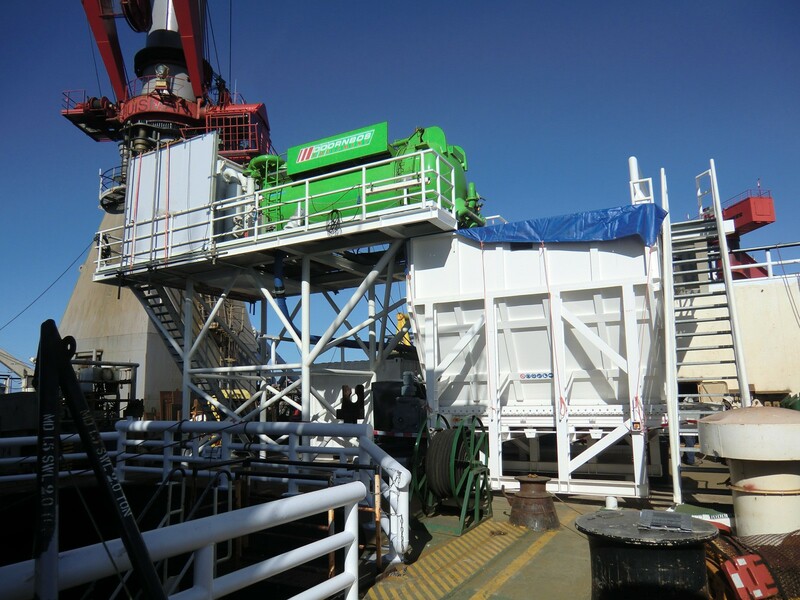 The parameters of the operation can be altered to meet specific project needs. Induction heating machines are used to preheat pipes prior to welding and application of the anticorrosion coating. Due to the modular construction of the machine, it can be used for any pipe diameters and cut-back lengths. The frame can accommodate pipes with a wide range of concrete weight coating or thermal insulation coating thickness. The machine generates the heat profile very accurately due to precise assembly and in-house developed software for coil calculation. The heating cycle is optimised to reach the desired temperature in shortest time possible using an automated closed-loop control system. 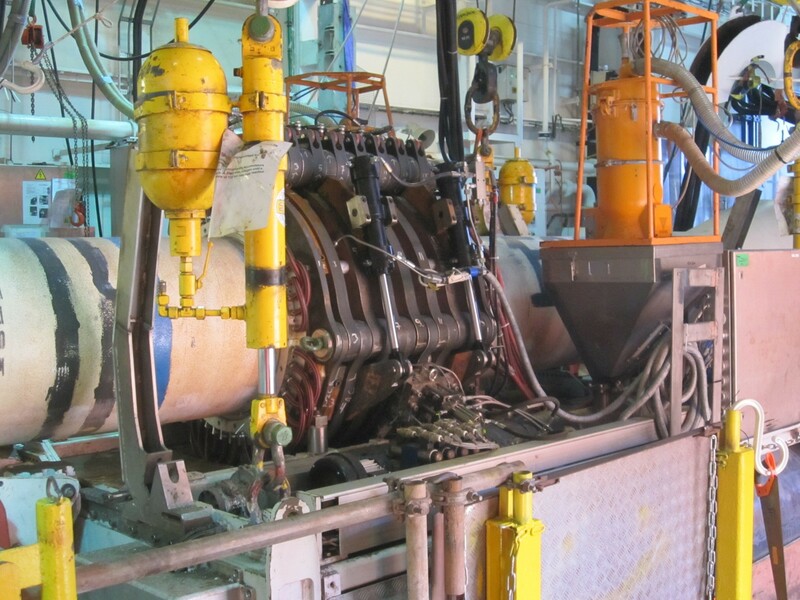 Fusion bonded epoxy (FBE) application machines provide the pipe with a coating in order to create a sound anticorrosion protection. The machines are fully automated and suitable to coat pipes up to 36 inches with any cut-back lengths. The frame can accommodate pipes with a wide range of concrete weight coating or thermal insulation coating thickness. Single and dual layer coatings, either (FBE) fusion bonded epoxy or (CMPP) chemically modified polypropylene can be applied in one go. 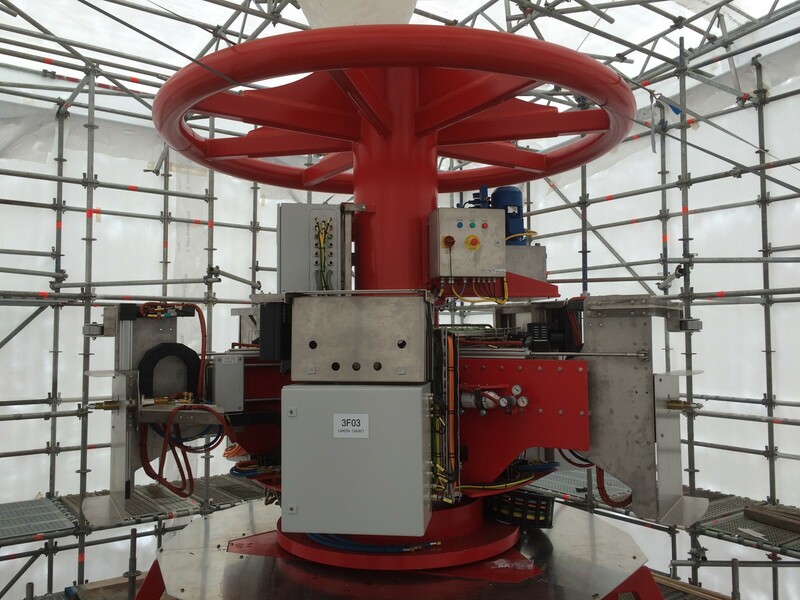 The coating cycle can be optimised to meet client requirements. Heat shrink sleeves (HSS) are used to form anticorrosion coating and mechanical protection on field joints. The sleeve consists of a multi-layered plastic sheet that is wrapped around the pipe and shrunk by external heat application. Typically, the heat is applied manually using a flame torch making the process and application quality difficult to control. Allseas developed an automated infrared heating machine to automate the sleeve application process. The machine applies heat to the sleeve in a contactless and controllable way. This machine simplifies the work of the operators, guarantees robust coating quality, reduces the application time and contributes to safer working situation. Injection moulded polypropylene (IMPP) is the most advanced coating type for field joints in terms of operating temperatures and impact performance. This type of coating is usually applied in thicknesses from 10 to 100 mm. The material used for this process (polypropylene) is melted at a high temperature and injected using high pressure in the field joint cavity between the factory applied coating, which is sealed off by the mould. Allseas has developed specialised equipment to apply IMPP in cooperation with an original equipment manufacturer (OEM) supplier. 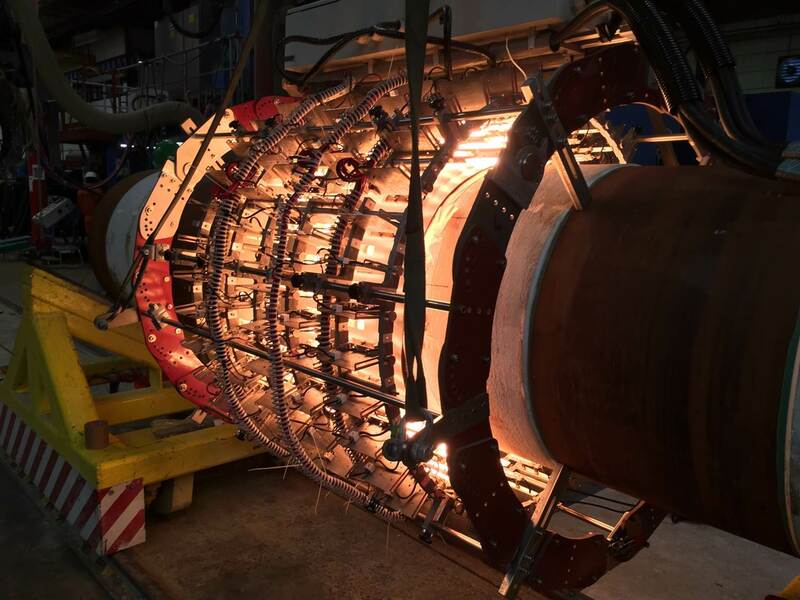 The machine works in tandem with a number of auxiliary machines such as bulk handling system, which premixes the base materials with some additives and an infrared chamfer preheating machine, which is used to preheat the existing factory applied coating on the pipe to create a good bond with the freshly injected material into the field joint cavity. The infrared heating machine is used in combination with an IMPP machine, and allows preheating of the chamfers of the parent coating on the pipe to promote its adhesion with the freshly injected material. 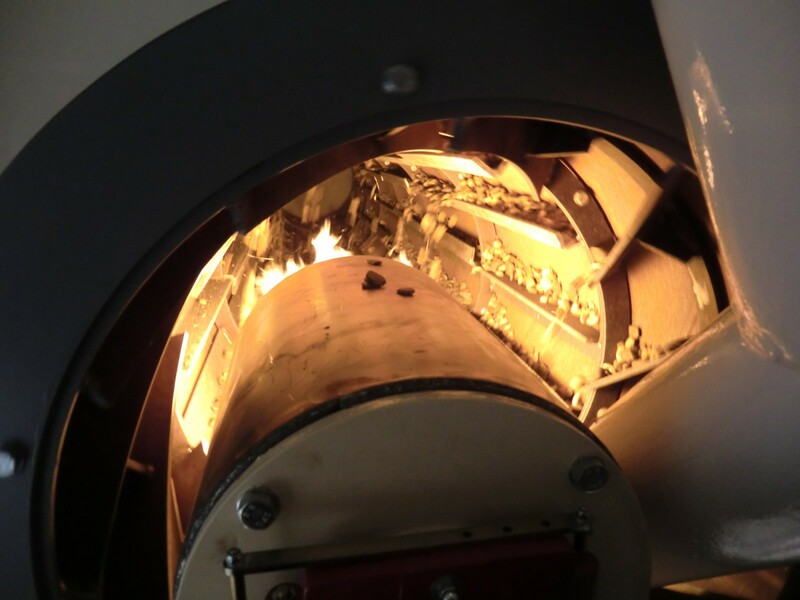 These machines allow a very fast heating cycle by using a controlled amount of infrared radiation. The process is contactless and therefore very reliable.